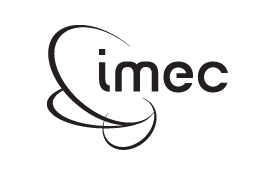 Imec, founded in 1984, is a world leading independent Research Institute in nano electronics and nanotechnology. Its research focuses on the next generations of chips and systems, and on the enabling technologies for ambient intelligence. Imec’s research bridges the gap between fundamental research at universities and technology development in industry. Its staff of around 2100 people includes more than 600 industrial residents, visiting & PhD students. Also, Imec has ongoing collaboration with over 600 companies and over 200 universities. In 2012, its estimated revenue (P&L) was around of 320M€, a growth of 7 % from 2011. In the same year, Imec has 161 patents awarded, 133 patents submitted. And over 1,064 peer reviewed articles were published.